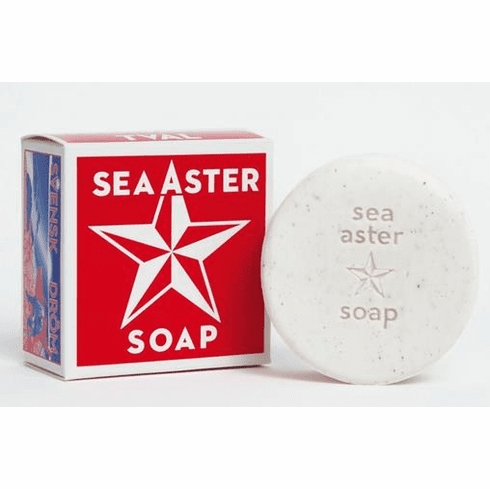 Harvested from salty sea marshes in late September, the resilient sea aster flower is often called “Summer’s Farewell”, and is packed with nutrients to help calm & soothe any redness or inflammation in the skin, including sunburn. Aromas of earthy seagrass and warm, sun-drenched driftwood instantly calm the senses. Excellent for all skin types, including sensitive & acne prone. Key Ingredients: Sustainable palm and coconut oils, sea aster extract, glycerin, culluna vulgaris flower extract & dried herb. Made locally in the USA.